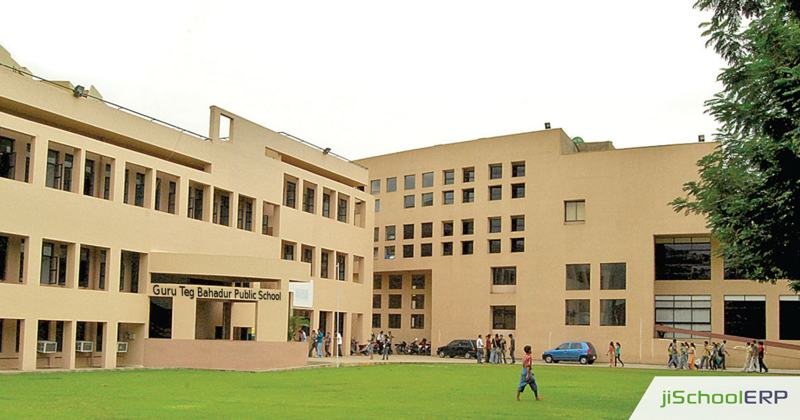 Guru Teg Bahadur Public School, located in Chandigarh, was established in 1986 and is one of the top schools in the city. The main objective of school revolves around offering quality education to underprivileged, deprived and weaker section kids. The school is CBSE affiliated with CCTV fitted classrooms and other facilities. To stay updated with the technology, the school offers its students with the hobby classes, eco club, excursions, yoga & meditation, literary club, and a lot more. A majority of the tasks held in the school campus were managed manually, so it consumed a huge time for the staff members. Thereby, teachers were not able to devote their maximum time to academics and other co-curricular activities. Right from marking the attendance, maintaining timetables, project and assignment submission dates and other criteria, and scheduling classes were such a chaos and a time-consuming task for the teachers. Moreover, there were chances when teachers while hurrying got some records written incorrectly and creating a problem in the future. So, the school management team went looking for a solution which could deal with all these major concerns in a straight-forward way. And while they were looking for a software for their campus, they got to see jiSchoolERP, which appeared to them as the ideal answer for their school. In the prior stage, they wanted to get a demo, so we offered them our free trial, and got it installed in their school premises. This was the point where the things started working smoothly and efficiently. We offered them a platform via which the teachers can mark the attendance, view the attendance records, and even upload the attendance records in a time saving and accurate manner thoroughly. Similarly, the teachers could now anytime update the changes in the timetable and share it with the students on an online platform. Moreover, regarding any project submission date and other project related information and details could be now uploaded instantly and shared with the students over an online platform. “We feel fortunate that our school found jiSchoolERP for making our school management tasks easy and user-friendly. We are completely fulfilled and feel that our investment towards jiSchoolERP was worthy enough for all the school members and the students” says the Director of Guru Teg Bahadur Public School. jiSchoolERP is a perfectly designed school management software for all the schools regardless of their size. It focuses on creating a community where schooling is easily managed and is fun for the kids. It offers a wide range of services within your defined budget to make the process flow smoothly within their framework. For more information and queries, you can reach us at our website and get assistance from our team. Or get a free demo from us to get a better insight into the product.